Absolut Vodka is a Swedish vodka made exclusively from natural ingredients and with no added sugar. 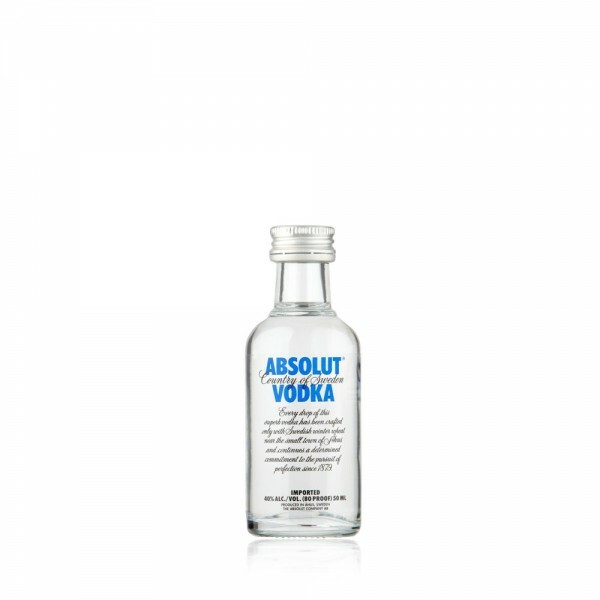 Made with pure water and winter wheat, Absolut is as clean as vodka can be. To taste, it is rich, full-bodied and complex, yet smooth and mellow with a distinct character of grain, followed by a hint of dried fruit. Serve this sample sized miniature straight out of the freezer, over ice or mix up with tonic, or in a vodka cocktail.